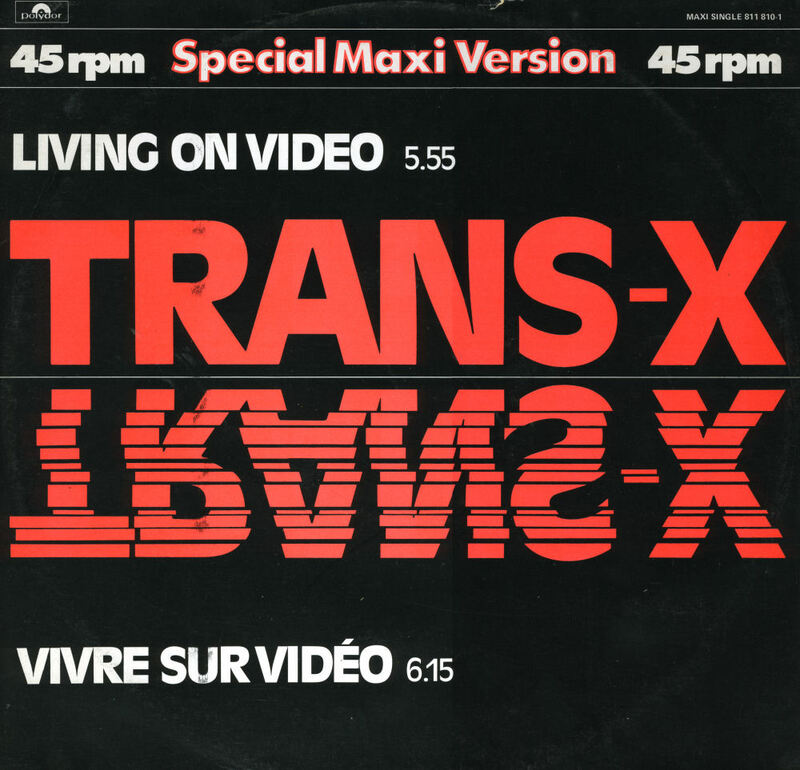 The Canadian duo Trans X became one hit wonders in 1983 with their song 'Living on video'. 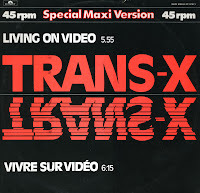 Written by Pascal Languirand, it was a catchy pop tune about the 'modern' life of the early Eighties. This 12" single features two extended versions of the track, one in English and one in French. When you listen to it, you can't help but notice that the French vocals sound a bit hysterical - in all senses of the word. When you see the sleeve pictured here, you might think it's a mispressing. But that's not true: you need to watch it with 3D glasses (Don't know if it works on the screen of your computer though!). The music weekly Bravo in Germany supplied them with the 12" single of this, but not with the 7" single. 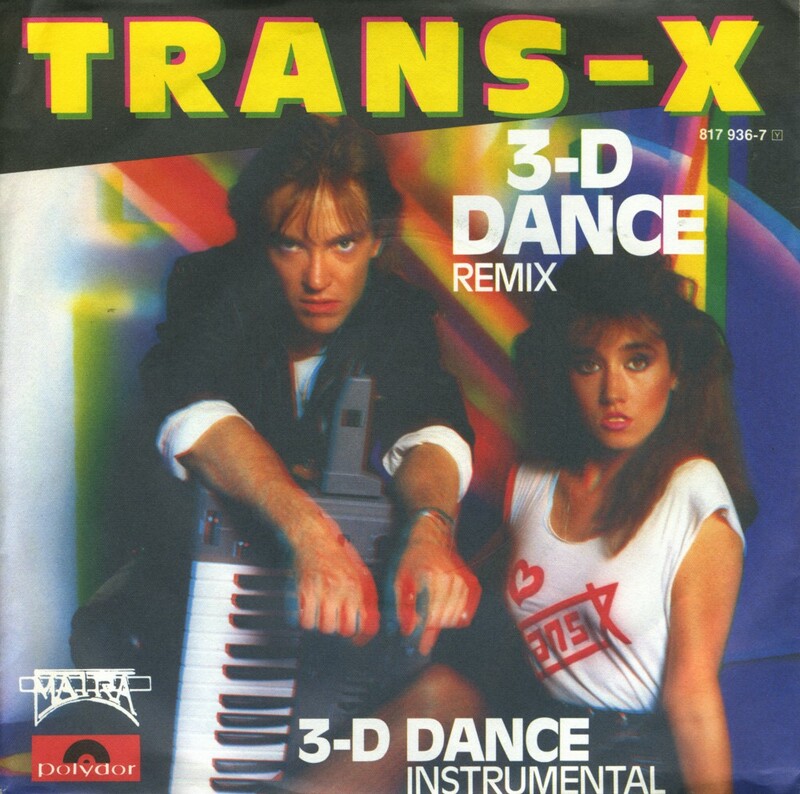 It was a nice gimmick with this synthpop track by the Canadian duo Trans X. Despite the very Eighties sound of this, I'm still curious how this track would sound in Dolby Surround. Released in February 1984, this single did not chart. 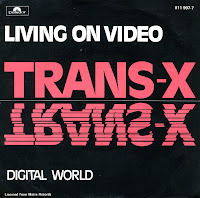 After I'd bought 'Living on video' shortly after it was released, Trans X disappeared from the scene. The duo consisting of Pascal Languirand and Cerstin Strecker, hailing from Canada, did release some more singles, but they failed to chart outside of Canada. 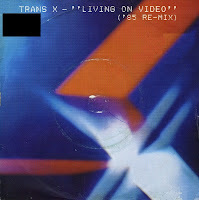 In 1985, Trans X released a 1985 re-mix of 'Living on video', which reached number 9 in the UK singles chart. Incidentally, the original version didn't chart in that country. 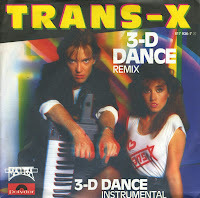 In the Netherlands, the original version reached number 12 in the summer of 1983, but this remix version didn't chart. And so I only found out about this single more than a decade later. My sister didn't approve. That's what I always think when I see this single. Back in 1983, it was still a big issue which records we bought. As we both had record collections, she didn't appreciate it much when I bought the same singles she did, because we would have less extra songs to play, but whenever I bought something she didn't like, she was disappointed as well.